To examine the title tag and meta description of Moz, we performed a simple Google search, using “moz” as our query. Inside your SERP snippet (below), the title tag is the text link that displays the name of your web page result. 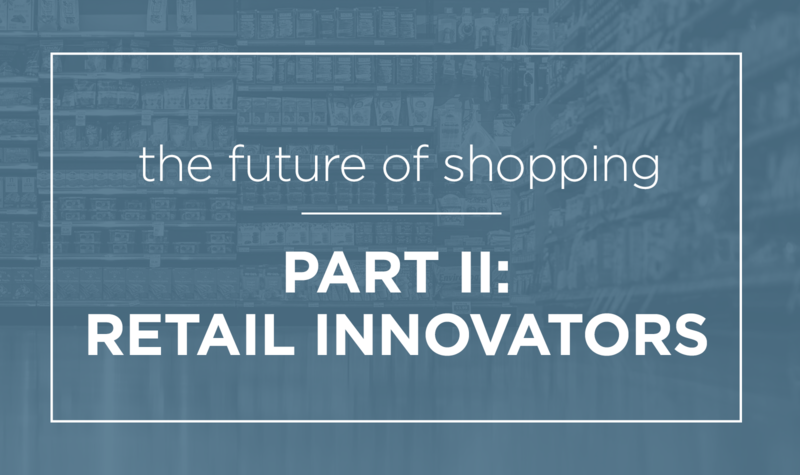 The purpose of a title tag is to explain what the web page is about, and entice the user to click through to the site. Because this could potentially be the first time a user sees your brand, it’s absolutely crucial to nail your messaging in title tags and meta descriptions. Take the example above from Moz. The title tag explains what Moz offers: “SEO Software, Tools & Resources for Smarter Marketing.” The reader knows immediately what Moz is and what it provides (“SEO Software, Tools & Resources”) and what benefit it can provide for the user (“Smarter Marketing”). When it comes to writing title tags, keep the copy short and sweet! Google only displays 55–65 characters in a title tag—but they are measured by pixel width, not by a specific character amount. While you’re writing your title tag, consider using a SERP snippet preview tool to simulate what it will look like in real time. It’s generally best practice to keep your title tag short enough so it’s not truncated by Google. The search engine will still crawl (register) your entire title tag, but don’t let users miss out on important copy by allowing it to be cut off. Remember, your title tag should explain what your web page is about and, if you can make room for it, a benefit for the user. Your meta description can also help entice the user to click, but the title tag will stand out even more based on its formatting. Bonus tip: Don’t be that person who capitalizes every single word in your title tag—be sure to use proper title case (this is an excellent tool to quickly convert text). The purpose of a meta description is to give the user a little more insight into what they can expect when clicking through to your web page. If the title tag grabs the user’s attention, the meta description should back up your title tag’s claim and hit the user with even more reason to choose that SERP over the [millions of] others. Your meta descriptions should read naturally, include the web page’s target keywords, and, ultimately, convince the user to click through and explore your full web page. By the time the user is reading your meta description, they’ve already been pulled in by your title tag. Now’s your chance to give them an extra nudge across the finish line and click through to your website, so make it count! Remember to keep it simple, engaging, and compelling. 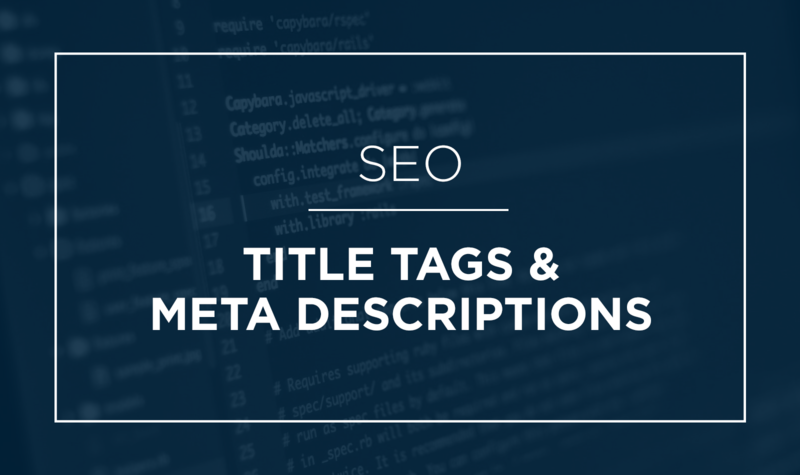 How does Google rank title tags and meta descriptions? You’re probably wondering whether Google cares about title tags and meta descriptions or not, and the answer is not really. When it comes to ranking factors, Google cares a lot more about your full page and website as a whole than the individual copy you write for title tags and meta descriptions. That said, it’s still important to have and keep a consistent strategy that ensures the copy in your SERPs accurately reflects what the user will see should they click through. Battling for your spot on page one of Google can be challenging and never-ending—so you’ve got to work on increasing your clicks—and title tags and meta descriptions can definitely help. If you'd like to learn more about SEO and its role within marketing, check out our blog post, Why SEO Can Make or Break Your Inbound Marketing Strategy. 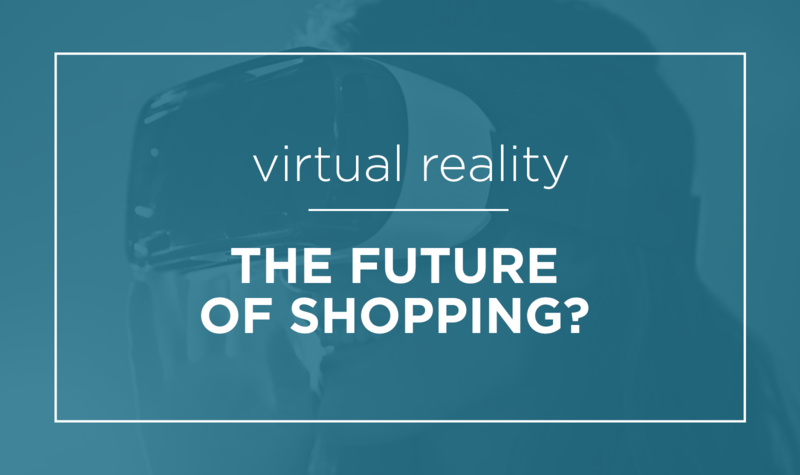 Virtual Reality: The Future of Shopping or Just a Fad?